This week we interseeded cover crop species into our corn and soybean crops. Our corn was allowing sufficient light to reach the ground and with adequate rainfall we are optimistic about germination. Our soybean crop is still green but we learned last year the crop can yellow and drop leaves quickly. Understanding the importance of rainfall on surface applied seed and with precipitation in the forecast, we planted into the soybean instead of waiting for the crop to further mature. 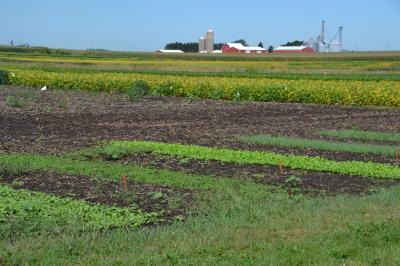 This one of several cover crop studies currently underway at the NIARC. 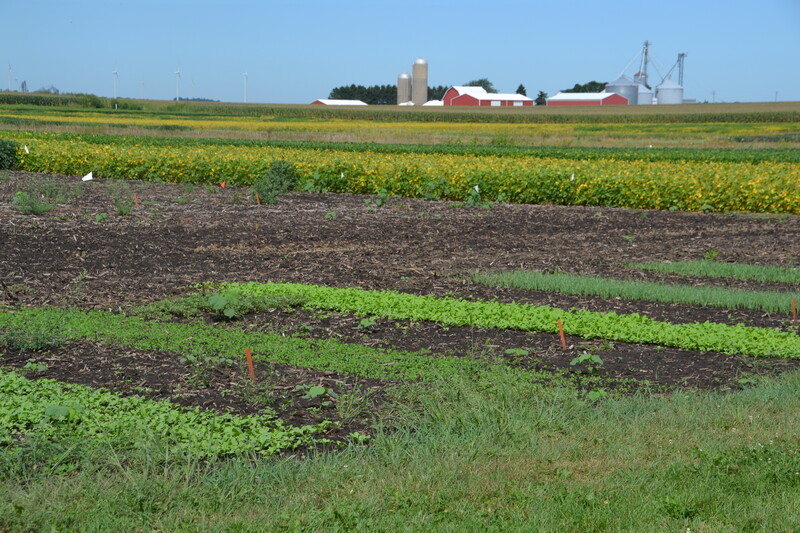 We are also partnering with the Illinois Council on Best Management Practices with a date of planting trial with 10 cover crop species. Stop and visit us to see the early results.